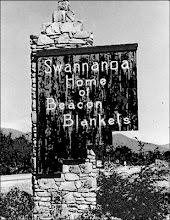 We can't let September slip away without mentioning the anniversary of the fire that destroyed the Beacon Blanket Mill and changed the landscape of Swannanoa forever. 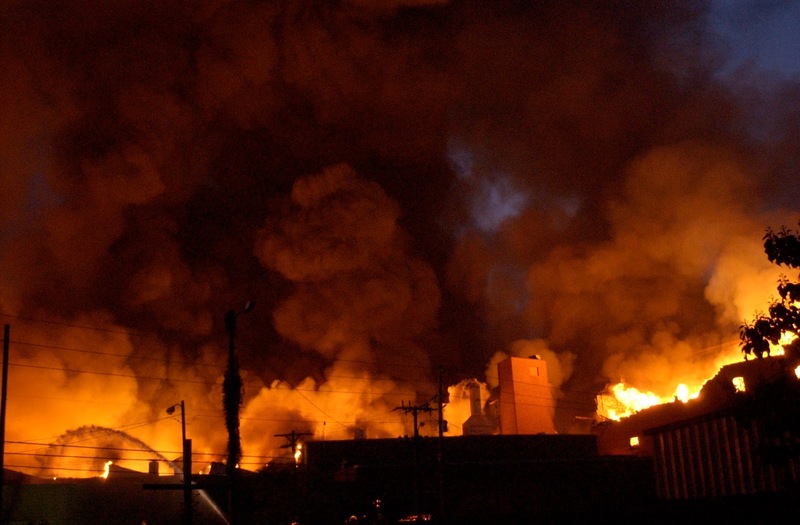 In the early hours of Sept 3rd, 2003 an arsonist set fire to the vacant building that had housed the Beacon Manufacturing Company. The fire raged for three days, burning through what local songwriter Bert Brown called "the rafters of strong native oak" and "sturdy wood floors" that were transported from the old mill in New Bedford. Hundreds of firefighters and other emergency personnel worked to contain the blaze and protect the mill houses and other structures nearby. People reported finding debris and ash as far away as Montreat. Months after the fire former employees and Swannanoa residents made the pilgrimage to Whitson Avenue to stare at the ruins. Often they took a brick home with them. Swannanoa Valley Fire Department Chief Anthony Penland said that when he was working the fire and saw the four story brick wall collapse, he knew "it was the end of an era." 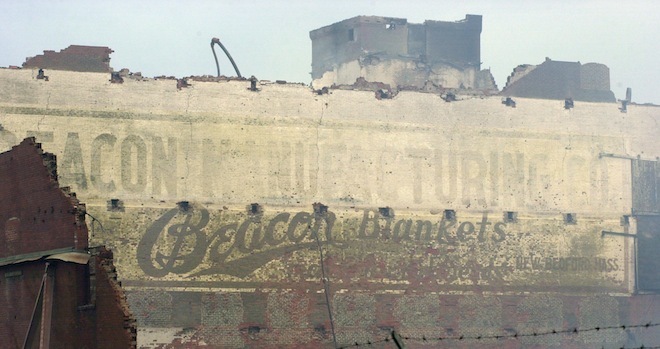 Beacon shut it's doors in March 2002, after a new company, comprised of local managers and investors, bought the ailing mill from textile giant Pillowtex, which had declared bankruptcy. 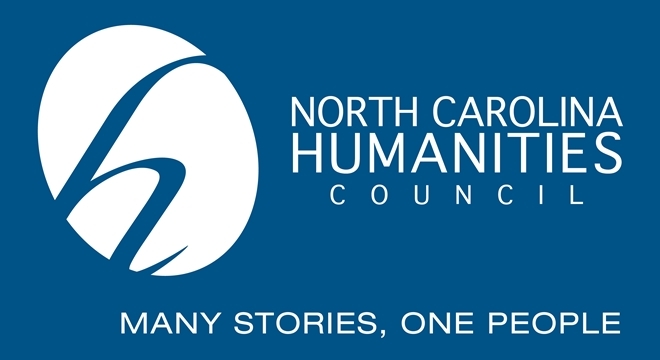 Even though the mill was closed, as long as the building remained, Swannanoa residents could hope that some other industry- textile or not- would take Beacon's place, and provide good, steady jobs to those who lived nearby. But once the building was gone, that dream was dashed. 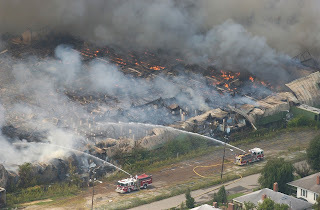 You can see more photos of the fire and archived news articles about Beacon on the Swannanoa Fire Department's website.